What does the remembrance poppy mean to you? Wearing a poppy is a personal choice. Some people embrace the symbol. Others don't. "In Flanders fields, the poppies blow, between the crosses, row on row." The opening lines of John McCrae's In Flanders Fields resonates with millions of Canadians who wear poppies every Remembrance Day in honour of Canada's fallen. But the plastic poppy pins — an enduring symbol — seem to be shifting with the times. The Royal Canadian Legion, owners of the poppy trademark, unveiled a digital poppy this year. The tides are also turning when it comes to opinions on the poppy. 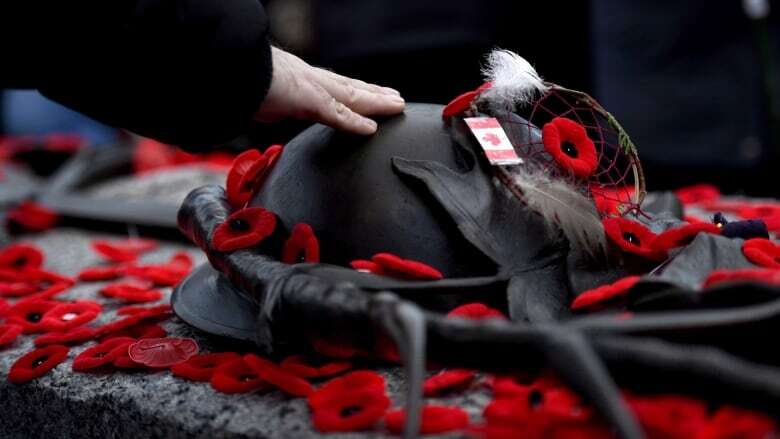 Many Canadians embrace the symbol, while others have spoken out against it saying it glorifies war. Watch the full episode on Facebook Live, or download our podcast.